Mark Greany is not only an established spy thriller author with his own Court Gentry series, but he has also written several books in Tom Clancy’s popular Jack Ryan series, which he, along with other authors, has continued writing about after Tom Clancy passed away in 2013. Here are the Mark Greaney books in order for his personal and co-authored series. Court Gentry, aka the Gray Man is nothing short of a legend moving around in the covert realm, slipping silently from one job to another, and then simply disappearing once again after the job is done. He is a former CIA operative, who is now an international exceptional hired assassin. He always gets the job done and he always gets his mark. No matter what. Due to his shadowy nature, he is called The Gray Man by everyone, including his enemies and all who fear him. He is usually working alone, taking jobs through this handler. He doesn’t take just any job, however. He cherry picks only those that meet with his approval, and he easily leaves the others behind. If he believes someone doesn’t deserve to die, he doesn’t take the contract. He is also extremely hard to kill. In the first book. The Gray Man, which introduced him to the world, Court Gentry is on the run and went underground after having finish a hit which didn’t sit down with some people who ended up betraying Court, giving the order of “Kill on Sight” for any other hitman who came across Court. Thus, hunted as he was, he had to run and could never go to. At least, for a while. He knows that at some point he has to go back home, to Washington, to find answers. To learn why there is a cross on his back, and possibly clear his name. Eventually, get gets back in the CIA’s good graces and also gets a new handler, Suzanne Brewer, who is constantly annoyed by him not strictly following her rules. But Court Gentry is who he is, he is his own man, and he doesn’t play well by other people’s rules, only by his own. So now, he is not fully back at CIA, he is a freelancer who does work for them but on his own terms. And the CIA is no longer his only employer. Mark Greaney (website) is not only well known for his Gray Man/Court Gentry spy thriller series, but also for ghostwriting for Tom Clancy and later picking up the thread of the Jack Ryan series after the death of the bestselling author. Sony has acquired the movie options for The Gray Man and the next 3 books in the series (including Dead Eye, Ballistic and On Target), where Joe Roth and Palak Patel, the producers are hoping to turn the series into a successful franchise like the Jason Bourne movies. Mark Greaney was born in 1968 in Memphis, Tennesee and is currently living there with his family, although he travels a lot all over the world while researching for his book. He went to the University of Memphis where he received a degree in International Relations and Political Science. During his time in college, e took a class in international terrorism, which planted the first seeds of a possible story in his mind. That was 20 years before The Gray Man became an actual manuscript to get published. 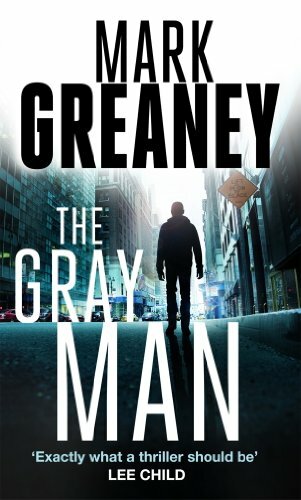 In 2009 his first novel, The Gray Man was published and Mark Greaney became a household name almost overnight. The book was an instant hit, being bought and devoured by countless readers who enjoy a good thriller with lots of action and espionage, all which The Gray Man delivers without fail. Initially, he only wanted to become a published author, but now that he was one, he wanted to flesh out the Court Gentry series even more. The author Mark Greaney knew that the story was not complete, so the next book On Target got published the year after. And soon other books in the series followed, with the latest one, Mission Critical, book #8, published early 2019, following Agent in Place. The Gray Man will be at some point made into a movie. Initially, Brad Pitt was to play Court Gentry, however, in 2013 Brad said he would bow out of his obligation and work on another movie instead. Five years later, and we still have no news on when the movie will be out and who will play the leading role as Court Gentry. 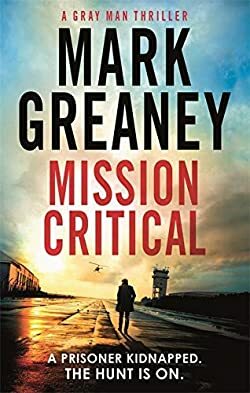 Besides the books he wrote on his own, there are also several Mark Greaney books written as part of the Jack Ryan Universe series. The first book he wrote was Locked On, which is part of the Jack Ryan Jr. series. He wrote it while Tom Clancy was still alive and was looking for a co-author. The first Jack Ryan book he wrote on his own after Tom Clancy’s passing was Full Force and Effect, which was published in 2014. So far, Mark Greaney has written seven Jack Ryan Universe books, most of them focusing on President Jack Ryan, with the latest one, Tom Clancy’s True Faith and Allegiance, published in 2016. In addition to his Gray Man series and his work on the Jack Ryan series, Mark Greaney has also written a standalone spy thriller in collaboration with Hunter Ripley Rawlings IV, a Marine Corps infantry and Reconnaissance Officer who has 22 years of service under his belt. The way the idea and collaboration for this book came about was due to happenstance. When the two met during a party at the United States Marine Corps Birthday Ball in Las Vegas, Nevada, while their wives went about getting their manicure, they began talking about possible future and outcomes of wars and what motivates those who start it. After they’ve been at throwing around ideas for a while, Mark Greaney asked Hunter Ripley Rawlings IV whether he was interested in working together on a new political thriller novel since they’ve brainstormed together quite a few good ideas. Mission Critical is Hunter Ripley Rawlings IV’s first novel.